If you own a business in today’s fast paced world, the chances are that you are always pressed for time; from billing clients, to doing research work, to data entry in your website (if you have one), to social media management and CRM, there are hundreds of odd jobs that clamor for your time. But one person can only do so much. Hiring an assistant always might not be the solution to these toughies, and this is where a virtual assistant steps in. The chances are that your virtual assistant will be based in another part of the world, and will be working from home office. But that shouldn’t bother you. A virtual assistant is as productive and helpful as any other professional assistant. 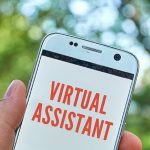 While having an assistant working according to your time zone might sound appealing to you, there are advantages of using a virtual assistant that come as a boon. VA or a virtual assistant works when you sleep, hence your schedule is prepared for the next day’s work. You also get to hire an assistant at a much lower cost; what with your VA being based in India. India has man power which is educated and KPO’s that work perfectly well in tandem with your requirements, and once you have delegated the extra work to your VA, you can easily take care of the core functions of your business. Remember asking for help is not a sign of weakness, it just shows that you have too much to handle. To choose your virtual assistant well, you need to make an accurate list of tasks you want delegated to the person or company. Present it in an easy form, so your VA doesn’t have a hard time understanding what kind of help you need. You might know your business like the back of your hand, but chances are that your VA won’t. Keep asking for regular updates, so you know when your VA is going wrong. Do your research thoroughly to pick up the VA that best suits your business needs. 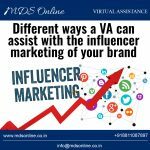 You might need someone who needs to conduct some internet research for you, but you might stumble upon a content writing virtual assistant. While the content writer might be one of the best in the industry, yet he/she/the firm might not be able to give you the best research results. Hence choose your VA carefully. 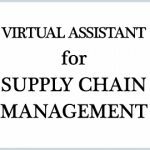 If you are looking to award the job to a bidder through one of the many SME business sites, then you should thoroughly check the references of your potential virtual assistant. Ask for samples of work as well as ratings that other satisfied clients may have provided to them. Carefully choose an assistant who has been accredited with good credentials. To stick to deadlines and payment rates, create an official contract with your new VA. This will keep any unpleasant surprises from cropping up. Consider the contract to be your business safety net, and you are good to go! Great tips Mirania, with this tips it can’t help others who are looking for a virtual assistant like I am. I’m currently looking for a virtual assistant and I don’t know where to start, using your tips I can make guidelines out of it. This helps me get more ideas on how I can hire a virtual assistant. 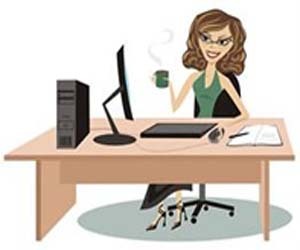 I also read different articles about virtual assistant and in hiring a virtual assistant there are a lot of things to be consider like the competent traits of a virtual assistant. Virtual assistant should be flexible, organize, with great time management skills and communication skills. These are some of the traits of a virtual assistant. SEO and web copy-writing are on the rise and would diversify even more with time. 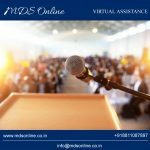 A virtual assistant not only helps you to develop on your visions, but it enables you to transform your visions into virtual reality with innovative outcomes.